on the planet earth, there has never been one like you…and there never will be again. Your spirit, your thoughts and feelings, your ability to reason – all exist in no one else. Your eyes are a masterpiece, incomparable, and windows to a soul that is also uniquely yours. and the multitudes who may follow, not one of them duplicates the formula with which I made you. I made you different from the others. that make you one of a kind, my child, are no mere accident or quirk of fate. I made you different in order that you might make a difference. You have been created with the ability to change the world. 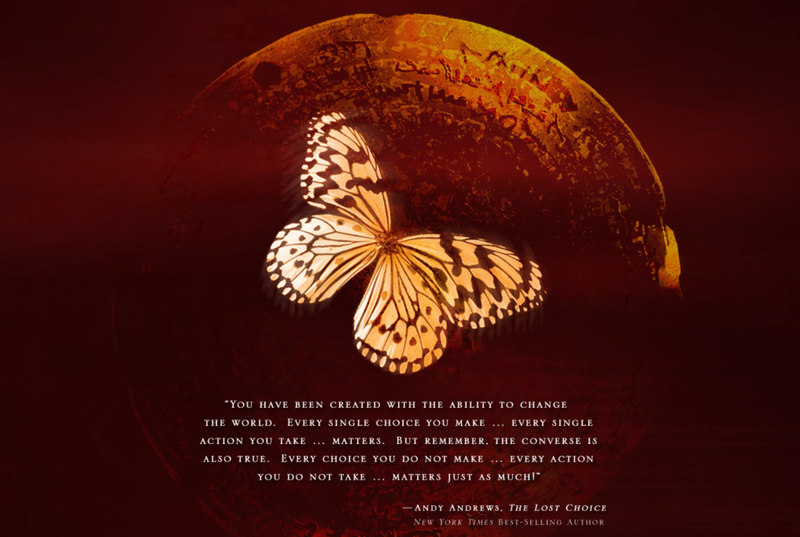 Every single choice you make…every single action you take…matters. But remember, the converse is true. Every choice you do not make…every action you do not take…matters just as much! Your actions cannot be hoarded, saved for later, or used selectively. By your hand, many lives will be altered, caught up in a chain of events begun by you this very day. But the opposite is also true as well. Many lives are altered, caught up in a different chain of events, if you choose to wait. You possess the power of choice. Free will. You have been given everything you need to act, but the choice is yours alone. And beginning this very moment, you will choose wisely. And never feel inadequate again. Do not dwell in the thoughts of insignificance or wander aimlessly, like a sheep. And you have been found. This entry was posted in Uncategorized, Words of Wisdom and tagged choices, life, spirit. Bookmark the permalink. What a wonderful thought for today, and every day.